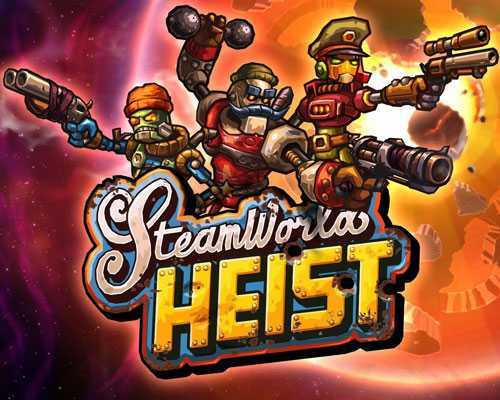 SteamWorld Heist The Outsider is an Action, Adventure and RPG game for PC published by Image & Form in 2016. Control a big steamship! You will travel to lots of underground areas to defeat the enemies there. Your team includes different characters that you can own one of them. You will only have access to one of the weapons at first. This weapon can be really helpful during the battles of SteamWorld Heist The Outsider. But it’s not enough in the higher levels. Although you can increase the level of that weapon, You have to get other weapons to be successful in the next battles. If you want to be more powerful, The only way is getting experience points. This can happen by killing the enemy troops at this action adventure game. You will have many problems passing the obstacles. So, Another type of items in SteamWorld Heist The Outsider. You can collect these items if you search the areas carefully. You can get missions at this game to gain extra money. Each missions has a difficulty level. If it’s a hard one, You can’t complete it at the first levels of SteamWorld Heist The Outsider. If you have free time, You can try them but it’s a bit impossible to finish them for the beginners. If you have experienced the main game some months ago, You will enjoy this too much. Actually SteamWorld Heist The Outsider is a DLC pack for the main version. It includes new items such as hats, weapons and missions. 6 Comments ON " SteamWorld Heist The Outsider Free Download "
Just having it open up steam, can’t get it to run, is there no extra download or something? do you have the main game? Who are these muppets asking for password??? Learn to read you dickheads!